How do we explain the remarkable diversity of organisms that surrounds us? What are the adaptations that allow organisms to live in extraordinarily different environments- from arid desert regions to lush tropical forests? Why are some communities highly diverse, and other much less so? Can we prevent vast numbers of extinctions as the human population expands? How will global climate change impact biotic diversity and ecosystem function? These are questions that faculty and students in the Department of Ecology and Evolutionary Biology address in their research and in the classroom. The interests and approaches to research in our department are diverse. We range from using molecular approaches in the laboratory to understand evolutionary mechanisms to the study of ecosystems- how organisms interact with each other and their environment. 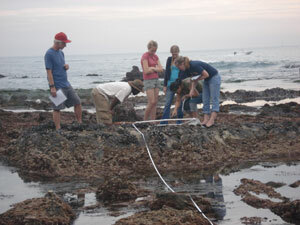 Field researchers work in areas close to Irvine, and sites much further a field, including Florida, the Pacific Northwest, the Hawaiian Islands, Mexico, New Zealand, and Madagascar. 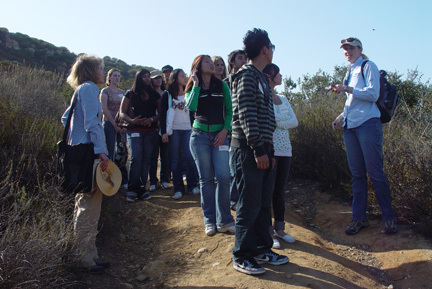 We invite students with interests in these questions and approaches to consider majoring in ecological and evolutionary biology. Through exposure to the courses offered in the Department of Ecology and Evolutionary Biology, you will gain an appreciation for the diversity of life, the evolutionary mechanisms responsible for that diversity, and how organisms interact in their environment. In a four-year program of study, you can focus on the intricate molecular biology underlying evolutionary change, or large scale effects such a global climate change. By participating in independent research, you will have the opportunity to understand how research is conducted, and make your own original contributions. You will also have an opportunity to interact with other students who share your interests, and participate in a variety of activities such as the ecology and evolution clubs. (1) Students will demonstrate an understanding of ecological relationships between organisms and their environment. (2) Students will demonstrate an understanding of key concepts in evolutionary biology, the history of life on Earth, and phylogenetic relationships between organisms. (3) Students will demonstrate an understanding of physiological properties of organisms. (4) Students will demonstrate scientific quantitative skills, such as the ability to evaluate experimental design, read graphs, and understand and use information from scientific papers. (5) Students will demonstrate skill in communication of scientific data in standard format.